A rough prototype of a prophecy-generator, based on a three-card tarot reading. Each "card" is a place to glimpse / briefly look around. WASD + mouse to control. This is half cobbled-together from bits, bobs, and demo scenes from the asset store. Three cheers for collage? I used BuildingCrafter when making the corridors and three doors scenes. 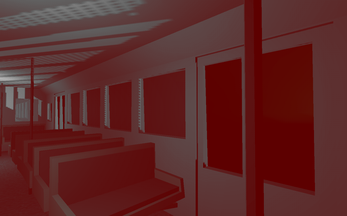 I used SabreCSG when making the entrance & train scenes.